Beginning to advanced students of all ages and abilities in East Lansing, MI. 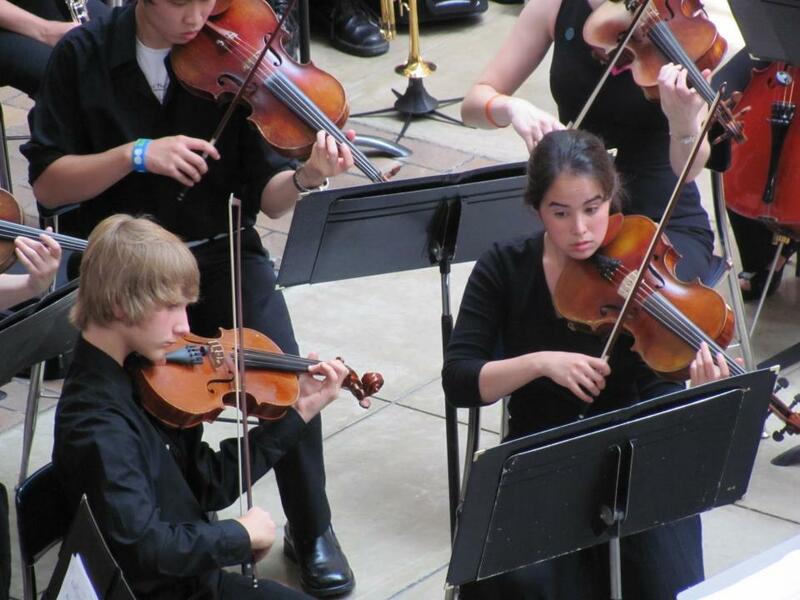 Students placed 1st and 2nd in Beginning Division of Illinois State Old-Time Fiddle Competition (2012, 2013, 2014), consistently good placements at District and State ILMEA Orchestra and Solo and Ensemble contests. Teaching style influenced by Suzuki and Rolland methods, pedagogy of Ivan Galamian and Karen Tuttle, and Alexander Technique, with the goal of helping students achieve their musical aspirations with a pain-free technique and foundational knowledge of music theory and history. Principal violist of the Eastern Illinois University Symphony Orchestra, coached and mentored undergraduate and pre-college viola students. Performed on authentic baroque viola for Le Chateaux de la Voix production of Armide and a series of free concerts at the Urbana First Presbyterian Church under the direction of Christopher Holman . Performed Daniel Hall’s “Reflections from Yad Vashem” and Abbie Betinis’ “Songs of Hafez” for the GRWC performance in the Sister Singers Network Festival. Invited by UIUC composition faculty to perform Hiller and Isaacson’s “Illiac Suite” for concert of historically significant computer music compositions from the University of Illinois. Pending project to record piece for Centaur Records. Organized, contracted performers, prepared publicity materials, publicly spoke at event and on WILL-FM “Live and Local” radio show, performed and premiered several compositions by Peter Michalove and Elaine Fine.